"... No matter what system I used them with, these cables came as a breath of fresh air. Clean, quick, open, detailed and dynamic, ... not just letting you hear the background details ... more clearly and easily, but making more sense of them too; you hear the dog bark more clearly, but it's also less intrusive. Likewise, the snatches of whispered conversation are fully revealed for the first time in this group, as is the point at which our would be backing singer starts her low, hummed harmony, something that escaped the notice completely with all the other cables here. 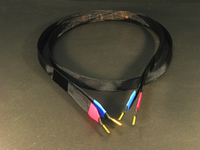 ..."
This and more (PDF 600k) is Roy Gregory's judgement in his Equipment Review in HiFi plus Issue 60 (p. 98) of September 2008 on our Silver Wire interconnect and Copper Foil speaker cables. From the man that wrote the book on Super Cables comes four new state of the art interconnect cables (that are not in the book)! We offer interconnect cables from four nines Siver Foil and from four nines Silver Wire, both balanced as well as unbalanced. The difference between them is explained in the brochure which you can download (PDF 350k). There you will also find some enthusiastic success-stories from our clients. If you have any questions, for example which would fit your system best, please do not hesitate to conact us. Email info@vacuumstate.com or call us under 0041 (0)52 620 3581. We are always happy to satisfy our clients. 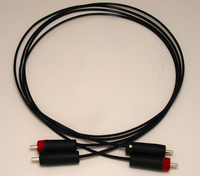 Finally, we have speaker cables! 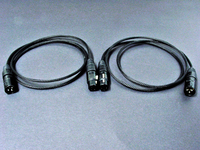 12 years ago, the SuperCables CookBook described an advanced cable using very thin silver foil. But the construction technique was onerous, and obtaining the silver foil to our required dimensions proved hugely costly, so we recently investigated using copper foil, and by using the advanced (but much easier) construction method of the Silver Foil I/Cs - we now have a CopperFoil speaker cable that's even better sounding than the book's silver cables! And of course they are also available in KIT form, but please note, before you order, that it is extremely difficult to build them longer than 2 meters - although some really keen types have done 3 meters!